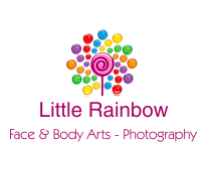 Little Rainbow: Face Painting & Body Arts Cornwall!!! "Add a little rainbow to your day!" We donate our time and attend a variety of charity events every year, and there are also some we organise ourselves and raise funds for! The events we hold closer to heart are the ones that involve young children and our local charities. For other charity events, I need to either be paid (via sponsors or other means and you will get to keep all the takings, or in other occasions I could attend for a reduced fee and donate a % of takings) Contact us to see how we can help you raise money at your event! St Francis Home Animals & Titan visits!